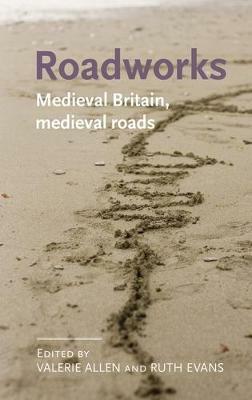 Roadworks: Medieval Britain, medieval roads is a groundbreaking interdisciplinary study of roads and wayfinding in medieval England, Wales and Scotland. It looks afresh at the relationship between the road as a material condition of daily life and the formation of local and national communities, arguing that the business of road maintenance, road travel and wayfinding constitutes social bonds. It challenges the long-held picture of a medieval Britain lacking in technological sophistication, passively inheriting Roman roads and never engineering any of its own. Previous studies of medieval infrastructure tend to be discipline-specific and technical. This accessible collection draws out the imaginative, symbolic, and cultural significance of the road. The key audience for this book is scholars of medieval Britain (early and late) in all disciplines. Its theoretical foundations will also ensure an audience among scholars of cultural studies, especially those in urban studies, transport studies, and economic history. 'The editors are to be congratulated on the strength of the essays and the way they complement each other despite the diversity of approaches taken by their authors. The reader also benefits from the clarity and uniformity of presentation, and the generally very high standard of copy editing. More illustrations would have been welcome for a subject that cries out for maps, but this is a small gripe about a book that offers so much to all of those interested in a topic that unites different disciplines.' The Journal of transport history vol 37 (2), Stephen Mileson, Victoria County History, Oxfordshire ''Roadworks' represents a major contribution to our understanding of roads in the medieval period. Its thirteen chapters cover a wide range of sources and methodologies, and - considering that much of the major literature on the subject is very old - its revisionist position is very welcome.' Owen Davies, University of Hertfordshire, Landscapes, June 2017 'It falls beyond the scope of this review to rehearse the specific arguments made by each of these thirteen fine essays, but each and every one of them sheds important light on British roads (and rivers, bridges, forests and coastlines) and how they 'inscribe the wayfarer as homo viator in ways often more fundamental than how human technology imposes meaning on roads' (p.3). Collectively they thus make an important contribution to the emerging field of medieval infrastructures and demonstrate its relevance to numerous subfields and medieval studies more broadly.' Guy Geltner, Universiteit van Amsterdam, JRG, Vol 131, No 2, 2018 -- .